Taxi drivers in Spain has staged another anti Uber strike to protest what they referred to as exploitative practices of ride-hailing transportation apps Uber and Cabify. Spanish Taxis. Image credit: Uncova. According to reports, Spanish taxi drivers staged the protest in some of the major cities of Spain including Madrid, Barcelona and Valencia. The taxi drivers parked their yellow and black taxi to join in the the protest against Uber and Cabify mid day on Tuesday for a 24 hours strike. The protest against Uber is the second anti Uber protest following the company’s limited re-entry into the market last year in Madrid, with a version of the Uber service that uses only licensed drivers. In a blog post on its Spanish website yesterday Uber argued that eliminating the cap on the VTC licenses necessary to rent a vehicle with a driver would “reduce urban transport prices, create thousands of jobs and favor more sustainable cities”. A taxi driver from Barcelona said Uber has been trying to lure new drivers into Uber by providing unrealistic earnings figures. Two more strikes are planned by Spain’s taxi drivers for July, according to Euro Weekly. 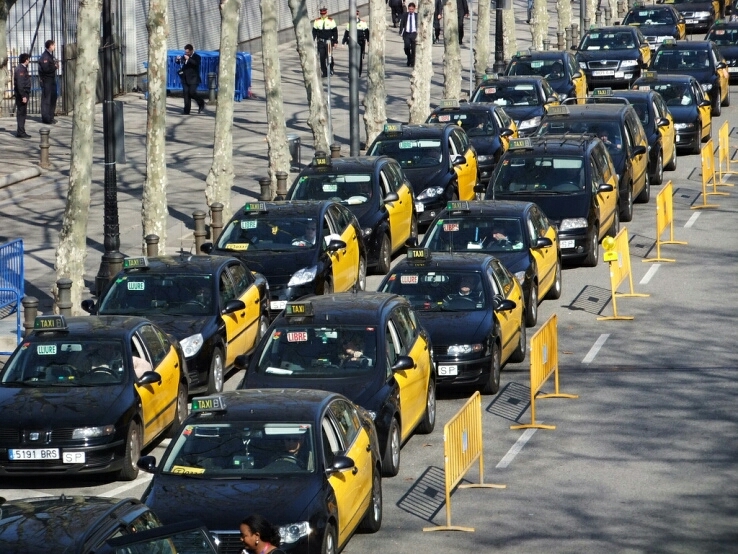 A Barcelona taxi association spokesperson told it the group has not ruled out an indefinite strike.